Here are a few of the concerns people are raising. Only two weeks before election day, the Government of Canada has reached an agreement on the sweeping Trans-Pacific Partnership (TPP). Conservative leader Stephen Harper said it was an “historic day,” however Canadians may not get a look at the small print until after election day, as only the broad highlights of the deal have been made public and key details are still missing. The devil is most likely in the details. 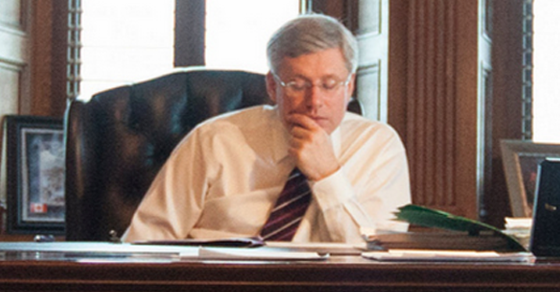 If ratified, the TPP will carry wide-reaching implications for Canadian laws and regulations. While some will argue those changes could mean a net-benefit for Canada, other changes could feel like “swallowing dead rats,” at least according to New Zealand’s trade minister. The deal’s “investor-state dispute settlement mechanism” will give foreign corporations the ability to sue governments in secretive tribunals, something that would leave taxpayers covering foreign corporations for lost profits. Critics say this undermines national sovereignty and democratic institutions. Unifor economist Jim Stanford estimates TPP could kill 24% (24,600) of Canada’s existing automotive manufacturing jobs. Under NAFTA, 60% of vehicles and parts sold tariff-free had to be manufactured in North America. But under TPP, that’s reduced to 45% – that effectively rewrites key protections for the auto industry originally written into NAFTA. The Government of Ontario is expressing concern over the “tariff reduction schedule and the rules of origin for autos and parts,” warning that the deal will “expose both Ontario’s auto assembly and parts producers to much stiffer global competition,” threatening job losses in the auto sector. The group points to a leaked draft of TPP intellectual property changes suggesting strengthened criminal penalties for copyright violators, new powers to block websites and an extension of copyright terms by 20 years. University of Ottawa’s Michael Geist, a Canada Research Chair in Internet and E-Commerce Law, says if true, this would mean a “significant overhaul” of Canadian copyright law. Reviewing the Government’s summary released Monday, Geist notes the text is not finalized and the government does not specify how long copyright terms will be increased. One of the biggest winners under the TPP are pharmaceutical companies. There are questions about what this means for any future national pharmacare program. And increasing the length of patents delays the length of time for cheaper generic drugs to come to market, effectively driving up the price of medicine in some of the world’s poorest countries. Stiglitz and Adam Hersh have challenged the language being used to refer to the agreement as misleading. 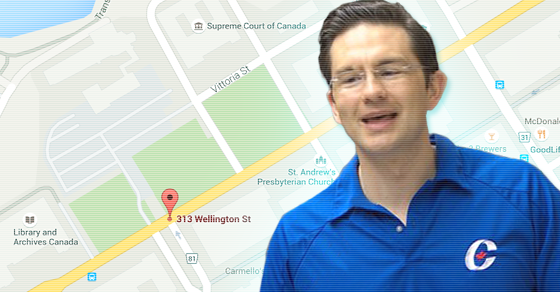 Either Google Maps is wrong or Pierre Poilievre is wrong. “Some have suggested it would be going on the front lawn of the Supreme Court,” the Conservative candidate said.